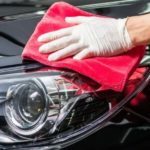 What to expect from a professional car detailing service?. Regardless of how well you try to take care of your car, there’s no question that it will need regular cleaning both inside and out. You can park your car in the garage and tuck it under a quality cover every night, but there’s no hiding from the dirt and dust that you will encounter while driving. 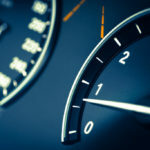 Some car owners have good intentions when it comes to car care, but they make common mistakes that result in them losing time while their car may also lose value. Instead of hand washing or risking your way through an automatic car wash, it would be a good idea to consider a professional car detailing service. There are dozens of car care products on the market, and they all have one thing in common – they all claim to be the best and work miracles. Many people assume that the best is automatically the most expensive but this is not always the case. In fact, the best products aren’t always mainstream brands that you will find on the shelf but specialized products designed for car detailing businesses. A professional auto detailer should stock nothing less than the best in terms of their product line. Like the cleaning products, the equipment used by detailers should be effective in achieving the desired result. For example, your regular household vacuum cleaner is acceptable if you want to perform a quick cleanup yourself. However, it’s not nearly as powerful as professional vacuums which means that it’s not as effective in removing dirt and dust that may have become embedded deep beneath the surface. When you take your car to a detailing service, you can be sure that it will receive a deeper clean than you can do yourself. A good car detailer knows that every vehicle is a valuable asset and should be treated as such. No matter their automotive preferences, every car is to be treated with care and respect. A respectable detailer will offer a list of options and services. They should offer standard packages that include an interior clean, exterior wash, polish, wax, and all the essentials. Optional extras like stain removal and bug removal should also be available. The detailing service should be able to work around your schedule. In other words, making an appointment should not be an inconvenience but rather a pleasure. This is where mobile detailing services really succeed. Instead of having to take your car in, the mobile unit comes to you! Which eliminates any potential inconvenience and downtime. The value of good customer service should never be underestimated. No matter how much or how little the vehicle owner spends every year on car detailing, it’s essential that you are treated to an appropriate level of customer service. The detailing service employees should take the time to hear your concerns and do everything possible to resolve the issues (light scratches, stains, odors, etc.). Due to the fragile nature of our environment, it’s important that we take all necessary measures to avoid damaging our surroundings any further. Look for a company that makes use of safe chemicals and minimal water. Steam cleaning has become increasingly popular due to the fact that it is highly effective in getting the job done without wasting water. At Wash Me Now, you can enjoy all of the benefits mentioned above. 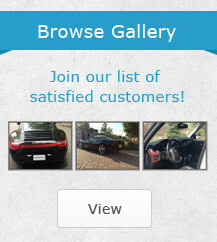 Our mobile car detailing service will come to you anywhere in the Greater Toronto Area. Call us today to schedule your appointment. Who is Detailing Your Car? Think Again! We clean your car as you go about your day! We offer 100% mobile option and indoor facility option. 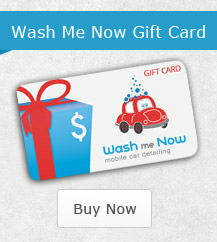 Wash Me Now is the finest interior and exterior auto detailing business in Toronto and the GTA. Contact Wash Me Now today! 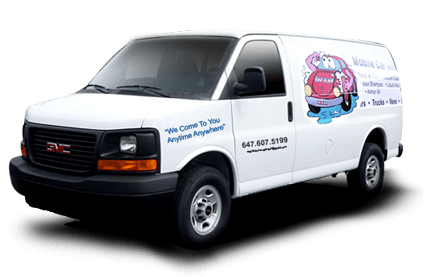 Servicing all across Toronto, Richmond Hill, Thornhill, Vaughan, Mississauga, Brampton and MORE! Our truck is a completely self-contained mobile car wash unit. We bring everything we need to get your car absolutely immaculate, including water, power, vacuum cleaner and more! 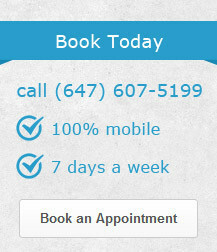 7 days a week from 7 am Phone: (647) 607-5199 E-Mail: Book An Appointment! Terrific solution!! I have actually been using Wash Me Now services for a couple of years and currently as well as they do a great job. We are in the building and construction industry and Wash Me Now brings our Heavy duty lorries back to us as brand-new. This is my 2nd time here and I can't express how pleased I am with the detailing job. My cars and truck is clean inside and out. I also had a big stretch on my trunk and they were able to remove it like it was never ever there. The owners are extremely professional and friendly! "I understood I found the best place after seeing the evaluations and speaking with receptionist on the phone. He was super great when I told him about my doggy mishap on the phone and told me to come in right away. The detailing job deserved every cent, I got my vehicle back after around 2 hours and all the salt spots and gunk were all gone. It resembled it was brand new again.I'm so pleased I found this place after desperately aiming to detail my cars and truck(doggy mishap on the safety seat) on a saturday afternoon! I have actually gone to other automobile detailing locations prior to and truthfully none of them made me desire to return.Finest service you'll get and remarkable task at getting the cars and truck clean! I will certainly bring my car back next time!" This place is awesome. Wash Me Now INC crew are car enthusiasts who know how to take care of a car. They detail/clean/wash a car as if it's their own. Had a really amazing experience! My car looks brand new! Will definitely go back. Great car wash & excellent customer service. I had an unfortunate experience when my back wiper blade ripped from the car. I told Wash Me Now INC team & they immediately assured me they'd take care of it. They did. They followed up promptly. Crew was respectful & incredibly helpful. Bravo to this team for their swift action and making things right. I'll definitely go back. And ... my car looks great! Thanks guys! Ultra professional and competent. Detailing is, well, all in the details. In this regard, they use an amazing product line and spend the time and attention to detail in restoring and maintaining the car's luster. Very friendly and great communication! Wash Me Now INC are amazing. What a fantastic crew and job they did on our car! They took the extra time needed to make it look like new, not an easy task considering we have 3 beagles who ride in our car. Well worth the money. Wash Me Now Inc is the best choice for car wash.
Wash Me Now INC did a great job. Makes your car look better than you got it from the showroom. Their attention to detail is on point. Fairly priced as well. Great experience! Highly recommended! Arrived on time. Great communication. Extremely fair price. They even noticed sticker marks from the dealership still present and they completely removed it. I trusted them at my home. Thank you. It is very rare to find excellent service. I highly recommend Wash Me Now INC.
We had one sedan and one SUV detailed with the Wash Me Now INC. Both vehicles are black detailing can often be a challenge getting a black car to look right with all the imperfections that show in the light. These guys did a fantastic job both inside and out. Both vehicles look like new, the inside really was amazing as well, every nook and cranny was cleaned. Highly recommended! Wash Me Now INC was amazing. A friend recommended it, so I finally tried it. The prices are great, especially considering the speed and quality. They did my car in less than 30 minutes and got a ton of dog hair out. I tipped him the rest of the cash I had, and I wish I had more. I will definitely keep going back! This is my first time trying a car wash and what a great experience. They were on time and did an amazing job washing my car. The steam wash was super effective, the grime and dirt wash away with ease with very minimal water runoff. Overall I was very satisfied and would use Wash Me Now INC again. I needed a place to wash and vacuum my rental car before I returned it. For the price these people were very efficient. Very quick with their services! There was no mark and the car looked brand new! Wash Me Now Inc are the best! Staff is clean and staff friendly. You pick the services you want, leave them your car key then they proceed to vacuum the interior of your car and place it through the machine wash and air dryer. It is then hand dried and the staff polish and clean the remainder of your auto.They are pretty fast and if not too busy- you can be in/out in less than 30 mins. Appreciate their business ethics, customer service and communication and will return soon! Wash Me Now Inc is amazing! I would like to highly recommend these guys at Wash Me Now Inc for the beautiful job they did washing my car, the package I purchase clean inside and out. If you need a hand wash on your car this is the place go you will not be disappointed! Great experience! I have gone to Wash Me Now Inc many times now for washing my car. Last night my car went through this white paint spill, I was devastated. I am not talking just drop sprayed here and there but the lower part of my vehicle was coated in paint. The guys in the detail shop turned it around beautifully. I am so impressed and just want to recognize their work. Highly recommended! Wash Me Now is simply AMAZING. I brought my vehicle in that was covered with cement stains from construction and Daniel the owner of this company spent the whole day working on my vehicle and just look at the photos at the difference between the before and after. My vehicle is simple unrecognizable. Daniel clearly has a passion for his job. He found the project to be fun and had excitement in his eyes to start on my vehicle. He will make your car look brand new as if it just left a dealer ship. Simply amazing. It was a pleasure in meeting him and his customer service was on point. He went out of his way to drop me off at work too. I had used this company a few years back when the owner Daniel was a one man operation. He was fantastic then and cleaned my car on our office parking lot. He has grown his operations since but the quality is still top-notch! His guys came arrived 30 mins early to our home and completed the job in less than 1.5 hours. The car looked great and they were able to do it despite the space limitations (the van parked on the street and my car parked on a lane-way. Also, they have a portable POS system so I was able to pay with my card on the spot. They also allow you to pay online. I would highly recommend this company to anyone. I didn't realize my car could ever look so clean! I don't keep a messy car to begin with but knew it needed a cleaning. The inside smells terrific, my car mats look brand new, the leather all glows. There was a nasty mess inside the armrest at the back thanks to my kids leaving a fruit. They cleaned it right out. My neighbour across the street just asked if I bought a new car. HA HA! I was most impressed by the rims. The chrome always had a rust on it until today. The staff at Wash me Now clearly went to great lengths to wash the tires and shine the rims. I can't wait to get in my car (but afraid I'll get it dirty) Amazing work guys! Excellent mobile detailing. Very professional. Expensive but worth it. Had my car done 2 months ago. Just recommended to a friend and realized that I didn’t post my review previously. I had my car here month ago for ceramic coating. Owner does this by himself. Needless to say he did the most amazing job on my range rover evoque. He did the best paint correction and best coating. 2 of my friends paid double of my price and didn't get a good result. He is the best and most honest business man i have seen. Best of luck!! Bowes location was very convenient for us, so no need to try mobile service. Easy to get appointment that fit with our schedule. Showroom detailing was the best cleaning our car has ever had. Very happy to get rid of winter salt from carpeting. Definitely plan to return. Amazing service! These guys were great. My car looks like new again! Super friendly, efficient, and an amazing attention to detail. I can't say enough good things about these guys. Top shelf service all around. Do yourself a favour and look nowhere else for your car detailing needs. I own a 1979 Oldsmobile Cutlass Supreme 2 door Coupe. It was my grandmothers originally. It was parked for more than 8 years in a garage. The car was in bad shape. I took it to Wash Me Now and they brought back the shine to the original paint. They also detailed the inside that was very dusty, and brought back the color in the dash and trim. I was more than happy with their work. Considering what they could do for my car, they did it and more. they went above and beyond. I recommend Wash Me Now for everyone. So happy I found this place! I brought my car to their location, they have nice waiting area I was able to get work done while they were detailing my car. Outstanding service, very friendly and kind. My car was full of salt stains and dirt after a long winter. My car now looks amazing no stains, the leather looks like new, the exterior is perfect! Thanks again ! Will be back. Took my car to Wash Me Now to get acid removed off my hood. They did an amazing job with the removal and my hood looks better than new. The entire process from booking the appt to picking up my car was great. The staff really goes above and beyond. Very friendly, professional and courteous. I now have my new spot to get my car cleaned and detailed. Best car cleaning service! My car is spotless clean again! Fast, friendly and professional service! Best car wash period!.My car looks brand new like frm the first time I took from the dealership. Thank you wash me now! I highly recommend ! Best place I've ever had clean my car.I came to them with my 2005 Corolla that was in a total mess. It was embarrassingly filthy from a summer of camping, leaves from the fall and repeated exposure to several ten year-old passengers. They got my car clean as a whistle! The staff at Wash Me Now earned every penny I paid them and made my car look great, better than I even thought possible. Nice people too. Good espresso. My new go-to for all my detailing needs. Wow. This is the first company I've used for car detailing and I have to say it was a great experience! They were on time, polite, they did an amazing job (my car smells like a new one), and their pricing is reasonable. I will definitely use them again. I have been to many car detailing companies and Wash Me Now team is the greatest!!! I'm so glad I discovered them, it saves so much time for me. They are 100% mobile - came straight to my house, arrived right on time with all the equipment that needed. Daniel (owner) is so professional and knowledgeable, he ensures that your car is extremely clean inside and out. I couldn't recognize my car it came out looking shinier than when I bought it, inside and out. Even has that new car smell.What a treat, especially after this nasty winter. I highly recommend Wash Me Now - car detailing not only for the professional cleaning but for the extraordinary customer service! 10/10!!!!!! Outstanding service! My car was sparkling, inside and out. Friendly professional staff! The quality and workmanship is beyond, and exceeds all expectations. I would recommend them to all my friends, family , and clients. what an amazing service! knowledgable, friendly, professional! I am very happy I found this company. They really work hard and do a great job. My car looks great. My family and friends had their cars done with Wash Me Now and they were very satisfied. Thank you! Booking was easy and Daniel and his partner arrived on schedule. They were both very friendly. They worked hard to get all the little details right and were very efficient. My car was left looking immaculate. Credit card payment was on the spot. I will definitely use this service again. These guys just left my office and I was completely blown away. My car looks as if it just came off the showroom floor! They got rid of the break dust on my rims. They were jet black before and now they look brand new! They even cleaned the exhaust and everything under the hood is so clean you could eat off of it! Totally worth every penny. I feel extremely grateful to Wash Me Now for removing industrial cleaning products used by another car detailer that were making my skin feel like it was burning. And I feel relieved that I can use my car again! Thank you! They were prompt, courteous, and thorough. I will definitely be using their services from now on. This was a wonderful service. They came on time, the gentlemen were friendly and personable and the SUV looks amazing. So convenient to have this service done right in my own driveway. Very easy to book online and getting email confirmations were great. Will definitely use their service again. I just had my car detailed this morning. I have to say, I'm VERY impressed. The gentlemen were very courteous and punctual. They cleaned out absolutely everything and left no mess behind :) I will be recommending you to anyone I know for car detailing! Thank you so much!! One of the best mobile car services! We we extremely happy Daniel and his crew cleaned 17 cars for me and my friends we were all thrilled! They were very meticulous, the cars were sparkling! (some of our cars were very dirty when they started). They were a pleasure to deal with our cars felt like new when they were done! We highly recommend Wash Me Now for all your car detailing needs!!!! Thanks wash me now for your great service. I couldn't believe that my car can look like new again! Keep up the good work. Highly recommended! These guys do wonderful work ! Arrived on time. They have all the supplies + water + electricity. Beautiful job. I had the Menzerna Sealant applied and the BMW looks brand new. No swirls or scratches. They deserve a better rating than 5 stars ! Update: The job was SO good, I had them come back and steam clean the inside. TOP NOTCH job. These guys did an amazing job! Totally worth the $150. I had someone vomit in my car the other night and called these guys the next day. When they were finished my car looked brand new on the inside! Was so very very impressed with the work done. If you're thinking about selling your vehicle, definitely call these guys first and give your car that new car feeling once inside. Definitely 5 out of 5! Top Top Top Service Detailing! Amazing service at your own driveway!! doesn't take too long! amazing quality! Nice People! As they were detailing my car i saw people from the whole neighborhood approaching them for their business cards! Super Professional! Thank you so much guys!